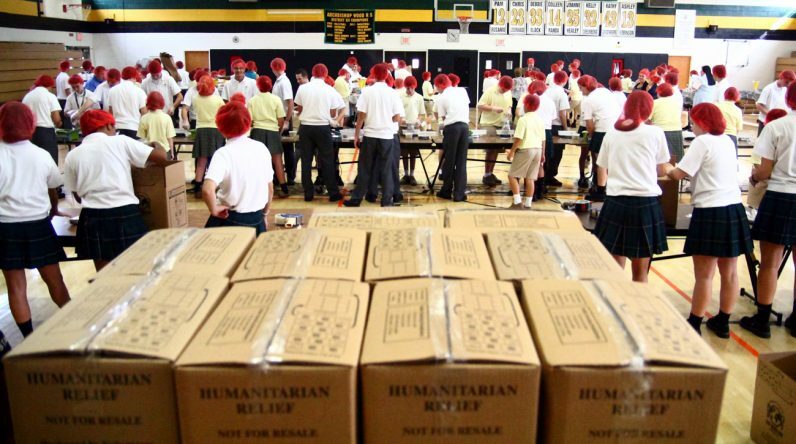 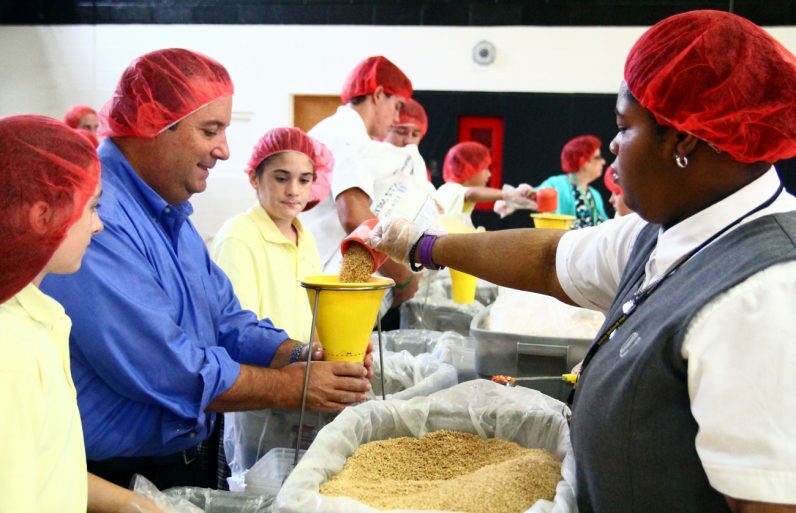 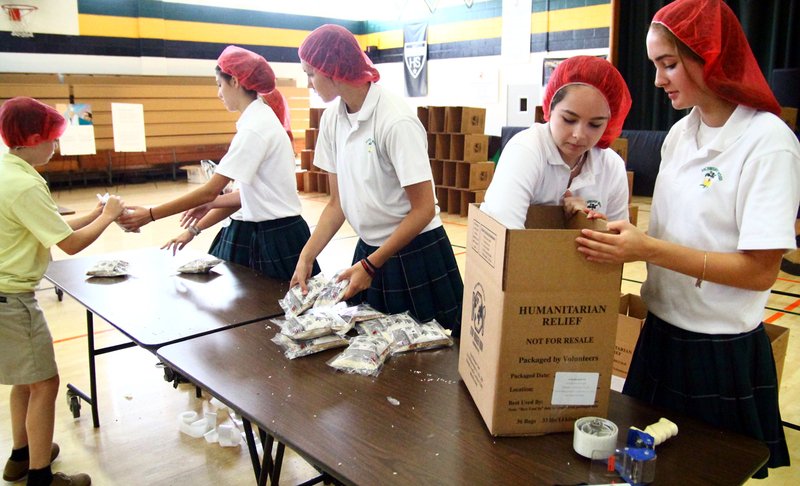 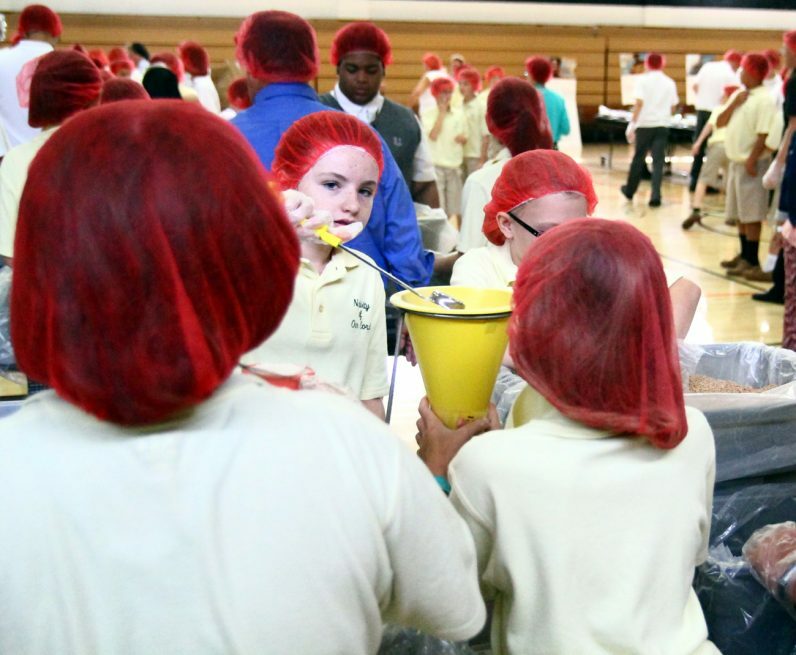 About 115 Catholic school students prepared bags of food in the Helping Hands activity Sept. 21 at Archbishop Wood High School, sponsored by Catholic Relief Services (CRS) and Stop Hunger Now. 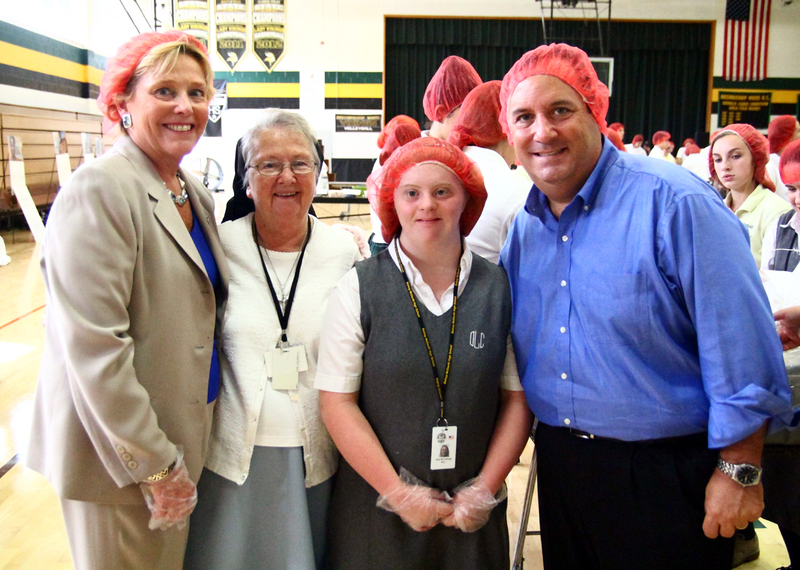 The students from Archbishop Wood High School, Nativity of Our Lord Catholic School and Our Lady of Confidence Day School, a school of special education, were joined by Secretary for Catholic Education Christopher Mominey; Sister Maureen McDermott, I.H.M. 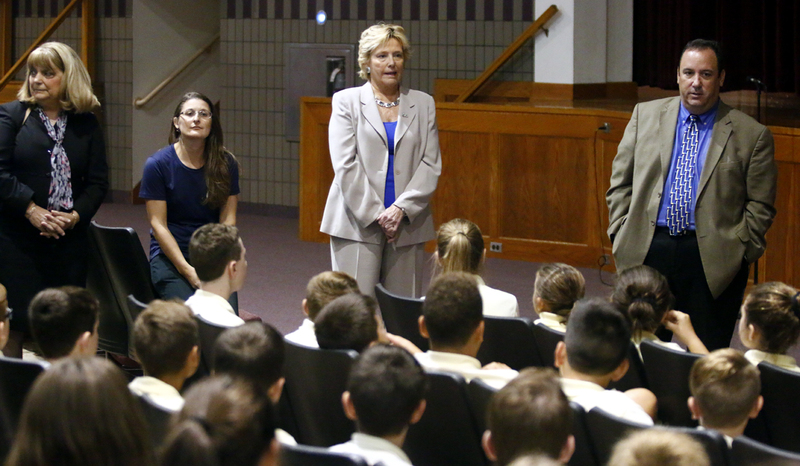 superintendent of secondary schools and Debra Brillante, superintendent of elementary schools, as well as CRS officials Maureen McCullough, regional director for the Northeast/Mid-Atlantic, and Rachael Holmes, program officer. 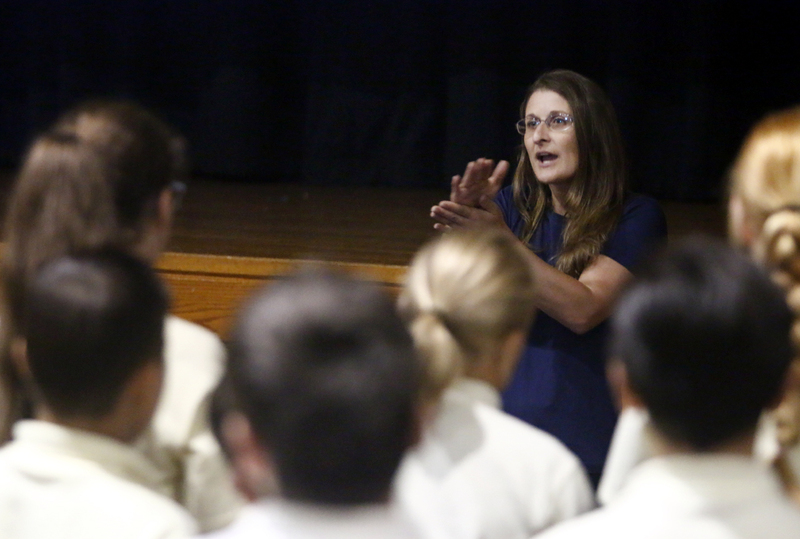 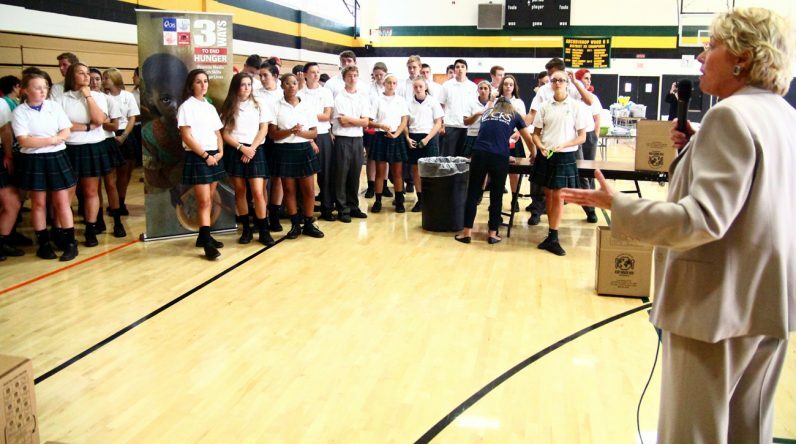 Maureen McCullough (center) of Catholc Relief Services speaks to students at the Helping Hands activity Sept. 21 at Archbishop Wood High School. 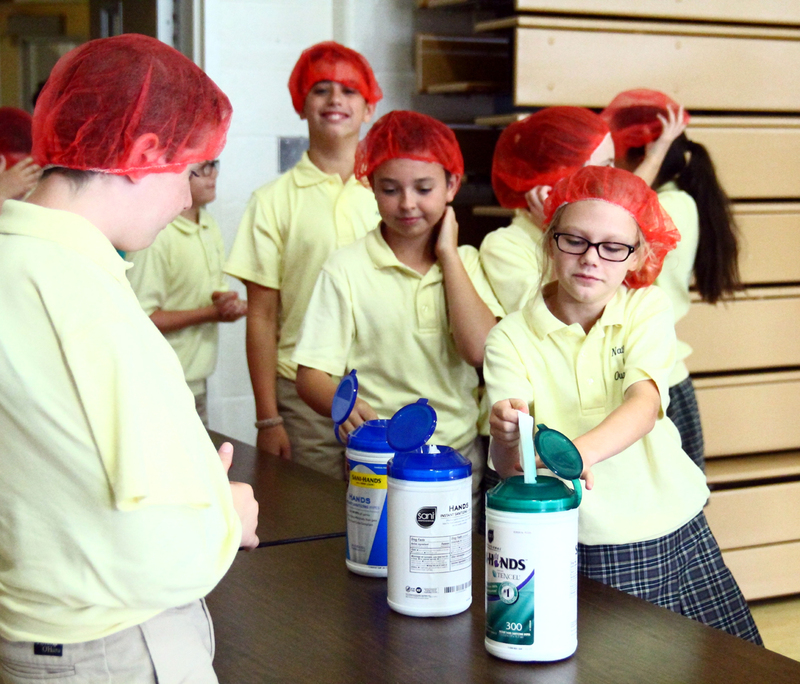 Rachel Holmes from CRS teaches the students about the people who will be benefiting from the food they prepare through CRS. 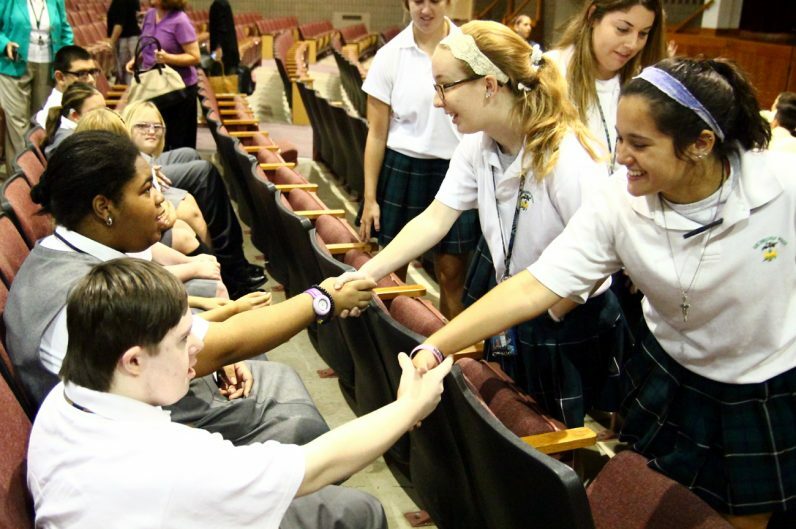 Archbishop Wood students greet the children from Our Lady of Confidence, a special education school, as they will be buddying up with the high school students for the CRS meal-making project. 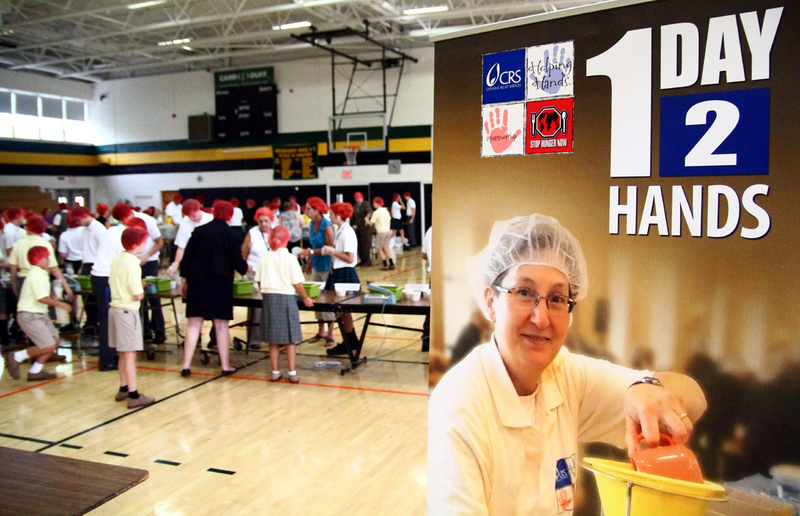 Maureen McCollough thanks students for the work they did preparing meals for people in need. 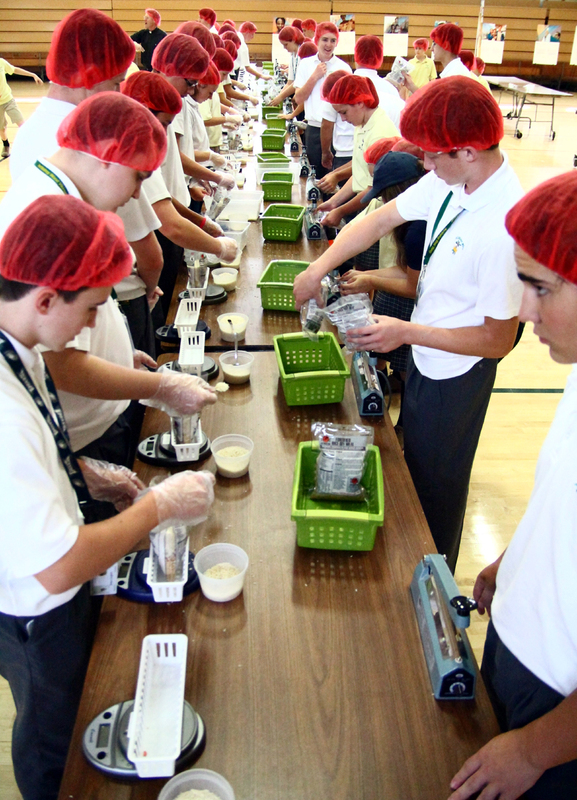 Students put on hairnets and sanitize their hands before preparing rice bags. 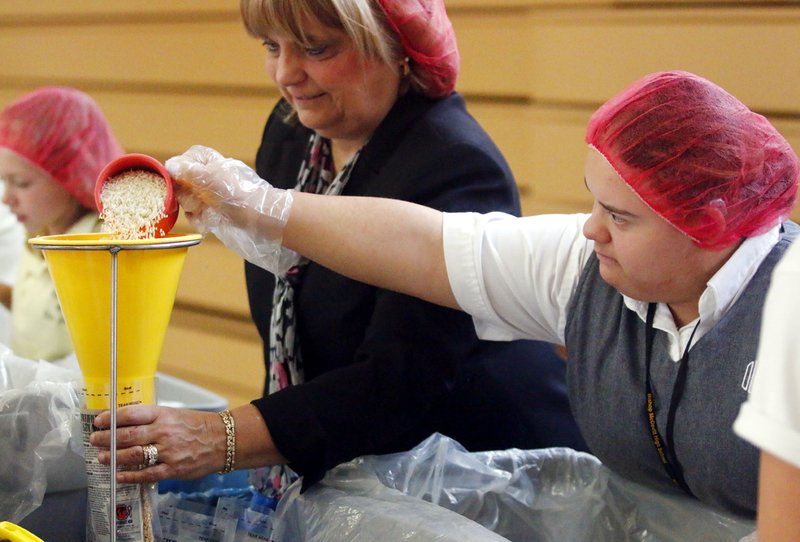 Jocelyn Maldonado (right) from Our Lady of Confidence fills rice into a bag that Debra Brillante, superintendent for elementary schools, holds open. 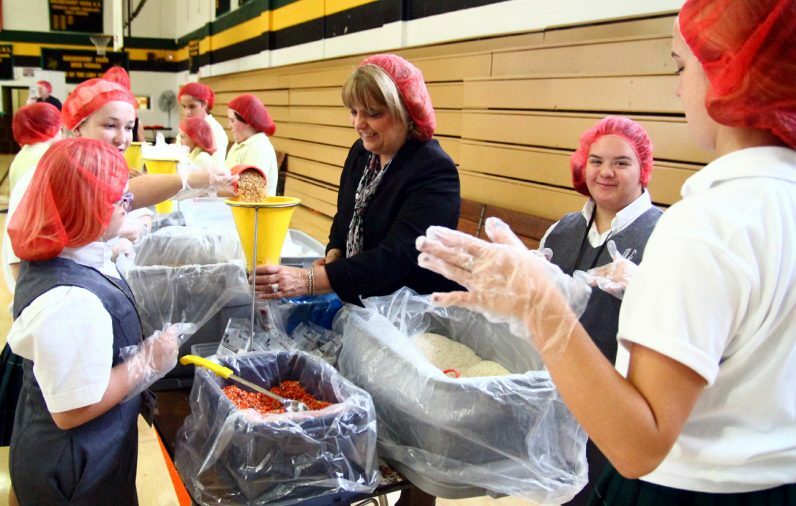 Maureen H. McCullough, CRS regional director, works with students to fill bags with rice and supplements at Archbishop Wood High School in Warminster. 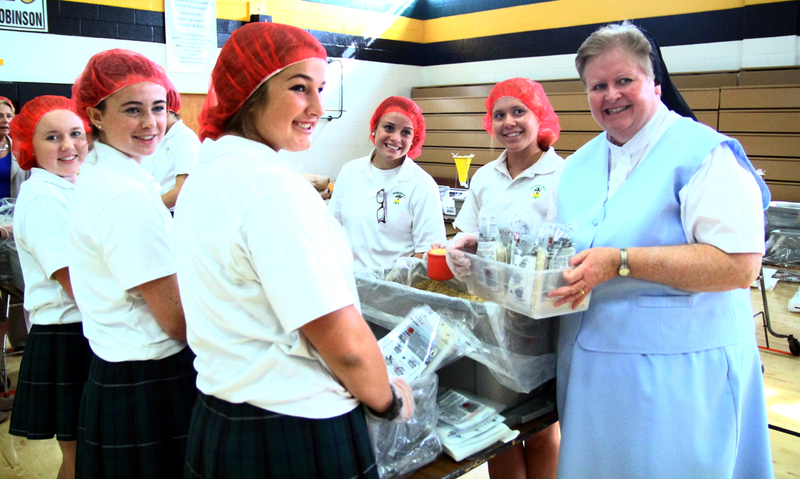 Sister Maureen McDermott, Superintendent for Secondary Schools, works with Archbishop Wood students to fill rice bags. 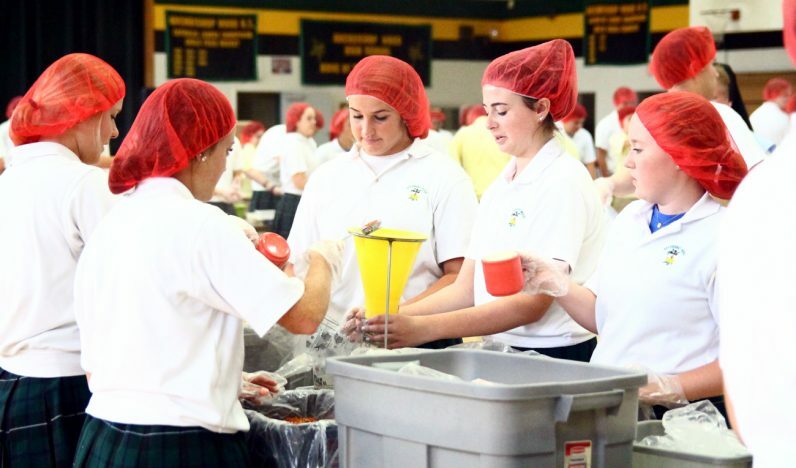 Students from Archbishop Wood High School work with students from Nativity of Our Lord School to make over 30,000 meals for those in need. 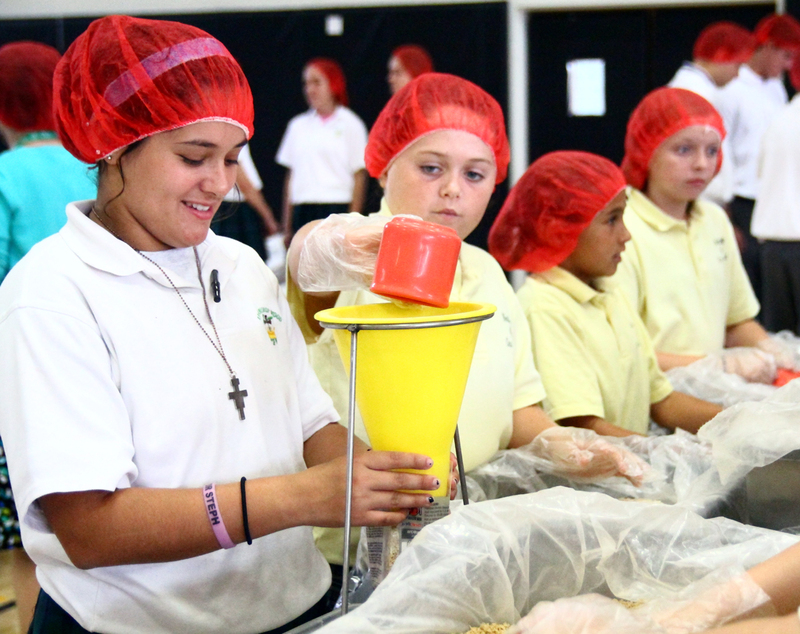 Chris Mominey (left) works with students from Nativity of Our Lord School and Our Lady of Confidence School to make rice bags through CRS’ program. 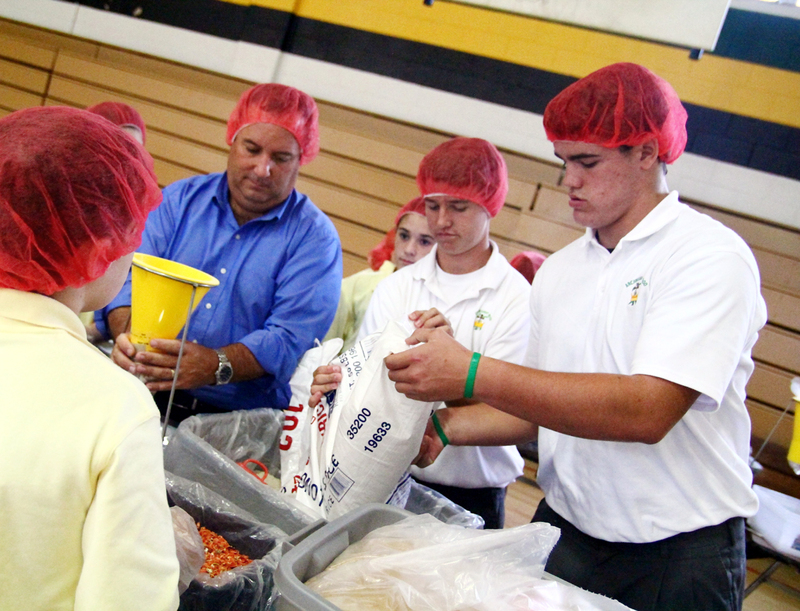 Greg McFadden and Tom Walsh, juniors at Archbishop Wood High School, fit bins from 50-pound bags of rice so smaller bags can be made for those in need. 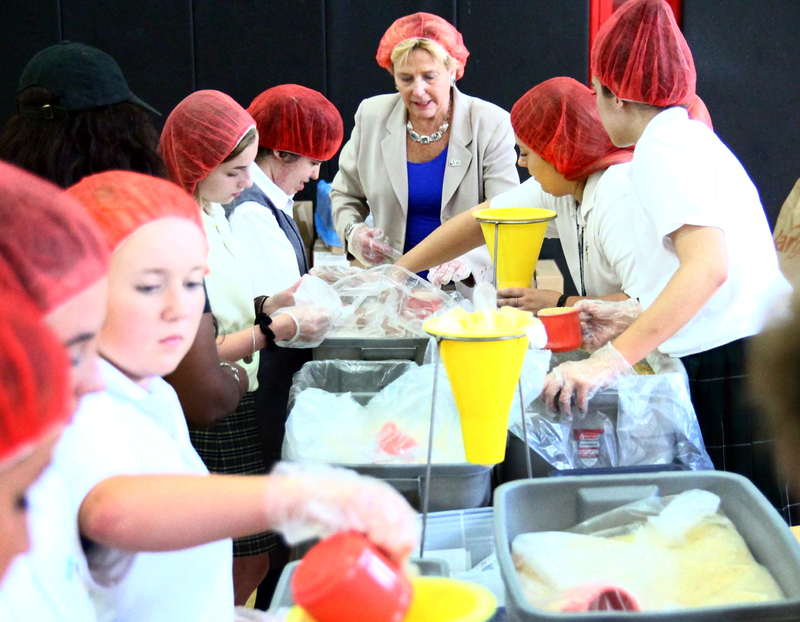 Debra Brillante, superintendent for elementary schools, works with students filling bags. 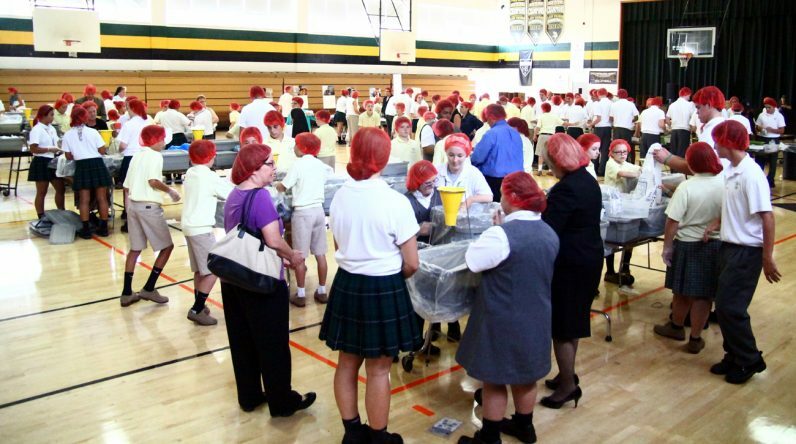 An assembly line weighs and seals the bags for food for CRS. 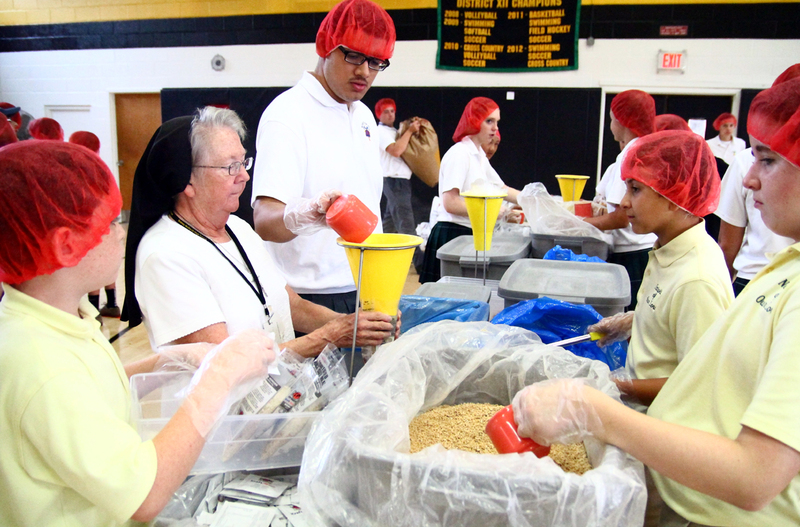 Sister Judith Moeller, I.H.M., principal of Our Lady of Confidence School, works with students filling bags with rice. 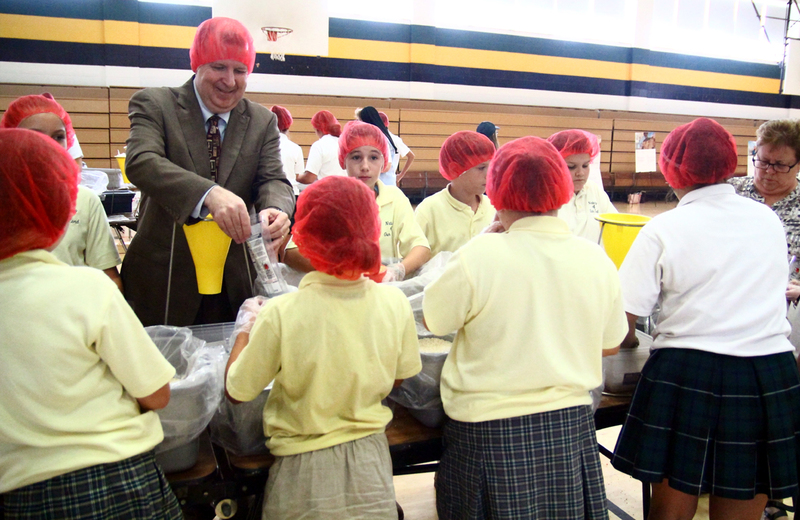 Francis Farrell, director of financial aid and scholarships program for the archdiocese, helps students make bags for CRS. 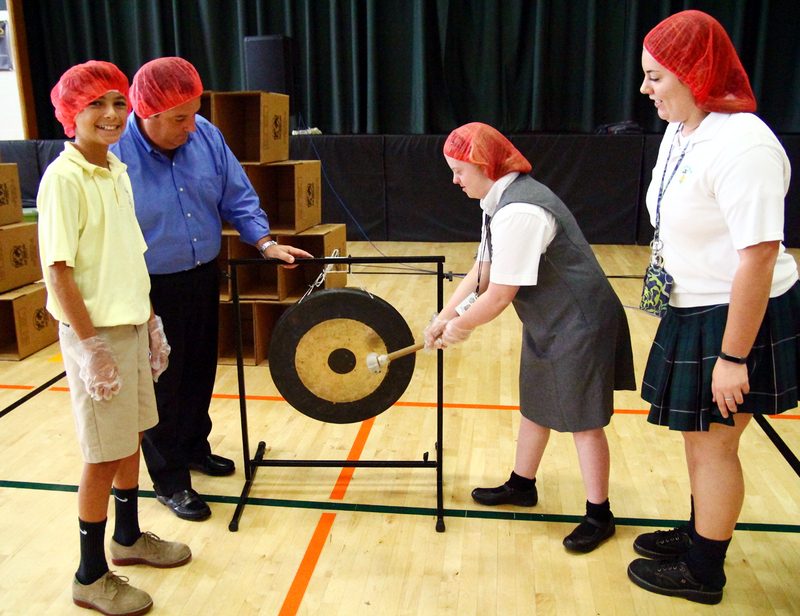 From left, Giuseppe Propato, Chris Mominey, Kelly McCollough and Carley Cantwell ring a gong to signify the 1,000 meal mark for the day’s activity. Latoya Gillyard, CRS/Stop Hunger Now logistics coordinator for Philadelphia, wraps a pallet of boxes with meals prepared by students from Archbishop Wood High School, Nativity of Our Lord School and Our Lady of Confidence School. 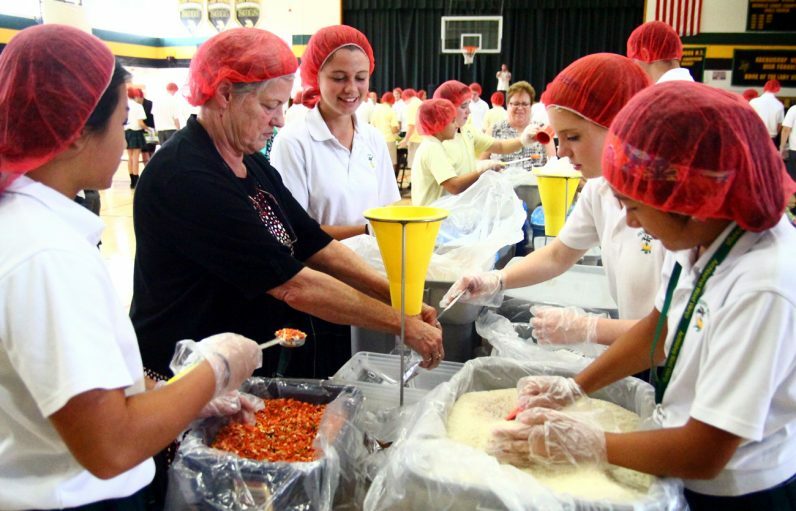 Participants from left include: Maureen McCollough of CRS, Sister Judith Moeller of Our Lady of Confidence, Kelly McCollough of Our Lady of Confidence and Chris Mominey, secretary for Catholic education.